1) Does it matter which direction the HK beds are in relation to the sun, or can I just use them as berms along the edges of my property in whichever way that happens to be? I have a lot of overhead sun all summer, and only partial shade on one side. My opinion sun orientation is not as important as orientation to the grade. There is always going to be a shady side to the mound, so you plant for the differences. Aligning the mounds with the property boundary does not seem too good. Rarely do property lines favor the topography of the land. Let the land inform your placement. Do not let the ill-informed choice of someone from a long time ago, in some office, constrain your best choices. paul wheaton wrote: I like to plot out the bed, lay on the wood, and then dig down about a foot and pile that on top of the bed. So you end up with a foot of soil on top of the wood. If you had a lot of wood, the first year that bed will be okay. The second year will be better. The third year will be excellent. I do the same. I set that top soil off to the side of my trench on contour. I pile in the wood and branches and then I let that pile sit. It becomes my compost pile for weeds and kitchen scraps. When I feel like closing out that berm I cover it with the top soil; just like frosting a cake! I plant my trees and shrubs on it right away. Then I aply layer of mulch or decomposed straw. I’d think twice about actually living in a green house. Having a separate solarium attached to your house would be awesome. Think about what goes on in a green house. Lots of watering. Molds, mildews, fungus all thrive in a moist humid green house environment. My goal is to get in, do my work and get out. I wouldn’t want the health risk of 24/7 living in a green house. The other thing green houses can have are wild explosions of insect populations, specifically ants. If you’ve ever had ants in your green house, and most have ants, then you know it is real hard to iradicate them. The ants belong in that green house, but you have a choice. And if you choose to fight the insects,, what can you do if you live inside the green house? Are you gonna constantly fumigate the place? That ain’t good. Also don’t forget good green house design depends upon lots of air circulation, a good amount of air exchange with the outside, minimal external heating for cost control and humidity control. It is difficult to seek quiet enjoyment in a drafty, cold, loud and transparent box. Urgently Needed Advice--Apple Tree Borers, stump rot, and what to do!!! I third Joylynn, but you will need to nurse the trees this summer to get them into dormancy. You collect the scion wood in December and store it in a water tight bag in your refrigerator until spring. Plants are pluripotent; each cell contains the same genetic information as all the other cells. It is all in your definition into what constatitutes your tree... Is it the roots? Or the graft stock? BTW to me the pictures look like pseudomonas damage. That would be a bacterial infection occurring at knick or cut in the cambrium layer... Damage certainly possible during transplant. I have a similar challenge. I can't economically fell too many of my fir trees. I'm going to scale up into some trees and screw in a lag bolt ring. Then thread a cable between trees to support vines, Kiwi, grapes and hops. Mushrooms - unfortunately not too many edible saprophytic mushrooms like pine, but you could get some deciduous trees going (maple, oak, ash?) in between your pines. Then get some mushroom logs going. Berries (goose, salmon, Oregon grape) all grow nicely in shade. They aren't much good for direct eating, but they process. Some people make jam from them. I really like making oxymel with them. You soak the berries in 70:30 honey:cider vinegar. Tasty stuff! Pigs! Pine trees right where they sit make excellent living posts for pig paddocks! Your problem is your solution. I'd point out an espalier is trained early in life. The pruning cuts are on small branches that grow larger over time. The goal would be to have the cambrium layer extend over the heart wood, encapsulating the pruning cut. Encapsulating the cut would actually make espalier BETTER than orthodox tree structures. Also mentioned here, espalier trees get far more attention than an orphan tree. Espaliers are more compact. You can see / get at the entire tree. All this has to provide more opportunity to intercede in maximizing the tree's health. Joel has extremely active management of his farm, and a big focus for him is to keep his animals healthy. He doesn't typically call the vet, gotta do things that keep 'em healthy. Joel doesn't just let 'em run wild. Last, look at the root / leaf balance on espalier. Constraining the canopy leads to more roots than leaves. In a healthy espalier the root system drives vitality into the tree. I am trained in black pine pruning, think bonsai only landscape size. In Japan these specially pruned trees have achieved ages two or three times a customary natural age. I doubt the same results could be achieved with espalier (fruit trees produce lignin too rapidly), but espalier could extend the longevity of a fruit tree. Much like Joel, the espalier gardener is trading their time & effort to achieve a desired product. It's a choice. Thank you it does help. And just in the nick of time. It looks like the flower buds are what I should be picking and not the seed pods. There are lots of pretty yellow flowers all about. I am behind the curve, but maybe there is still time. 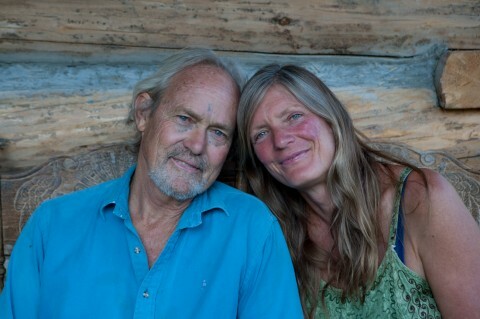 Hello Tao - Can you share some ideas about controlling Scotch Broom from a permaculture perspective? I'd heard that the seed pods can be brined similar to capers. I think I might try them this Summer, but I need a few more ideas. 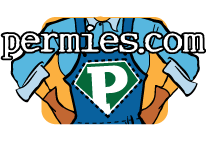 Thank you for joining us on permies.com and sharing your ideas. I am in Salem too. I have 1 acre that I am about to get started with zone 1 & 2 gardens, and some fruit trees. I'd love to learn more about you ideas for your place. How about a beer sometime? My CBP (closest brew pub) is Gilgamesh. Does that work for you? Drop me a pm and we can set something up. My schedule is flexible.